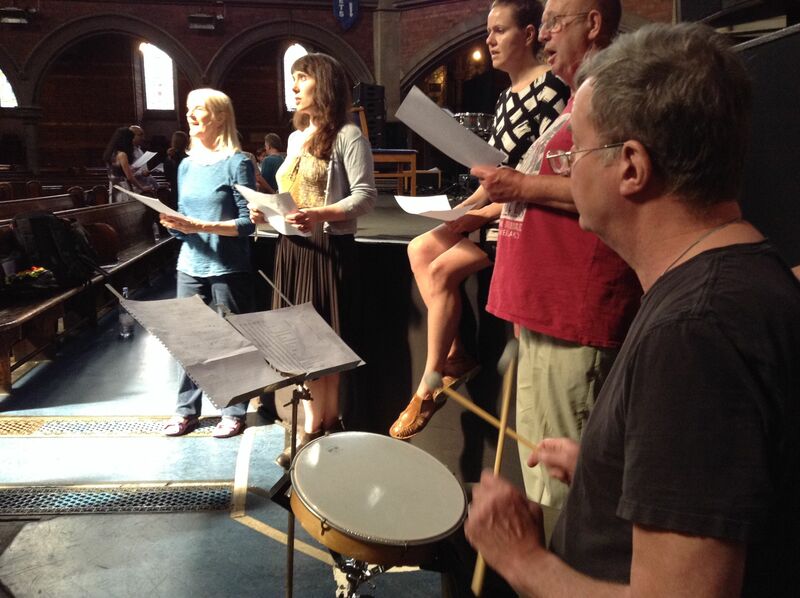 This morning I received the first rough mix of the recordings of the entirety of the full performance of Cornelius Cardew’s big work, The Great Learning, which we performed at the Union Chapel last July. Rich Duckworth, the recording engineer, has sone some marvellous work on what has to be one of the hardest works to record. The Great Learning uses many different performers playing all sorts of instruments in all areas of a very resonant hall. I have only heard bits of Paragraphs 3, 4, and 7 before this, and got to work immediately on checking out Paragraph 1, so it’s very early. But what I’ve heard so far is really, really good. Since it is a rough mix and not an EMC recording, I can’t share what I’ve heard, unfortunately. There should be a CD in the works, though, so you will be able to hear what I’ve heard sometime up the road. And if we’re able to do so, the EMC will certainly make a link available when it is ready. 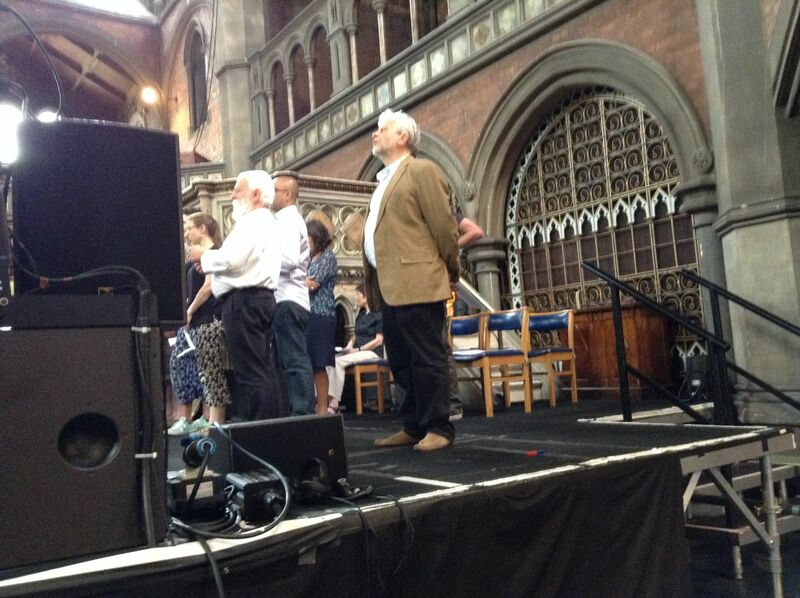 But in the meantime, just to whet your appetite, here are a couple pictures from the first day…. Previous Previous post: Original Obscure Recordings back again — and better!